Hello! Sewing in No Man’s Land Readers! 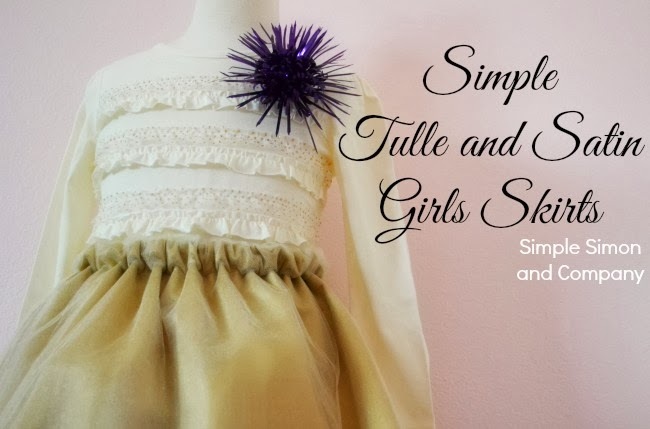 We are Elizabeth and liZ from over at Simple Simon and Company and aside from our love of girls skirts we also love adding tulle to our sewing creations! 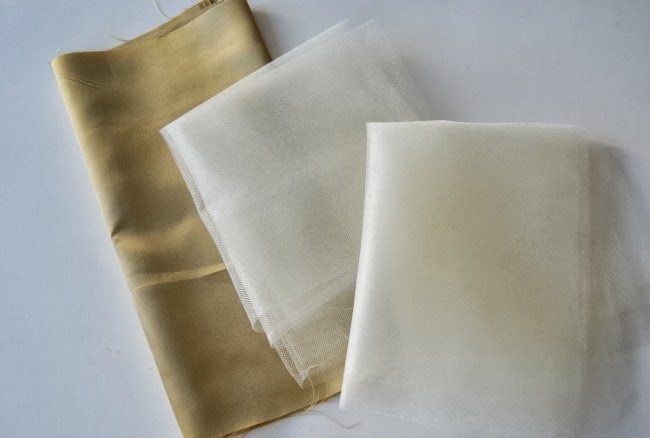 They are gold satin with a tulle over lay…perfect for the holidays, New Years, and even through Valentine’s. They are easy to sew up and I love the way they look. 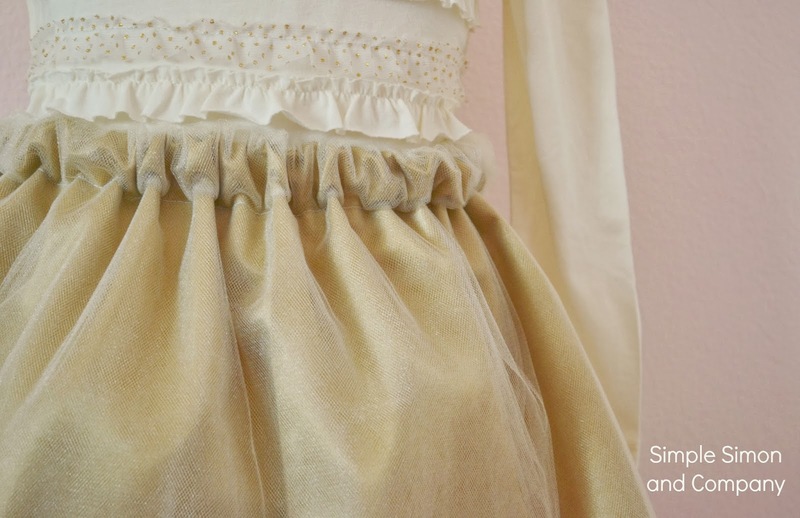 I cut both my satin and my tulle to be at least twice as wide as my girls are around the waist (And really I just usually use the full width of the fabric.) And then I cut them to be as long the measurement is from their waist to the desired length of the skirt plus a generous 1 and 1/2 inches (for the elastic casing and the hem). #2. “Hem” the bottom of the satin portion of your skirt. 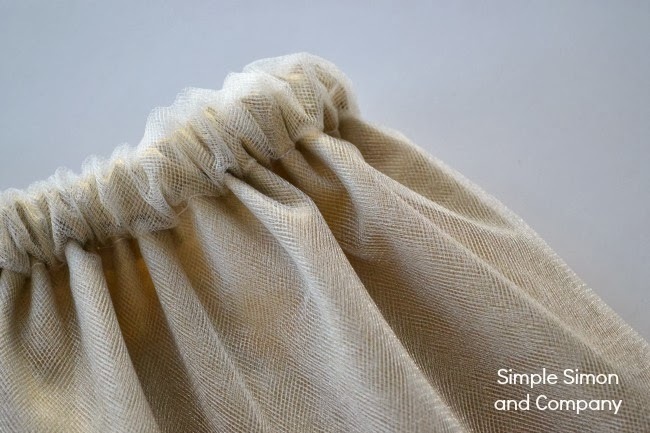 I do this by turning the bottom edge under 1/4 of an inch and sewing. Then I turn it under another 1/4 of an inch and sew to give the skirt a finished hemline. #3. 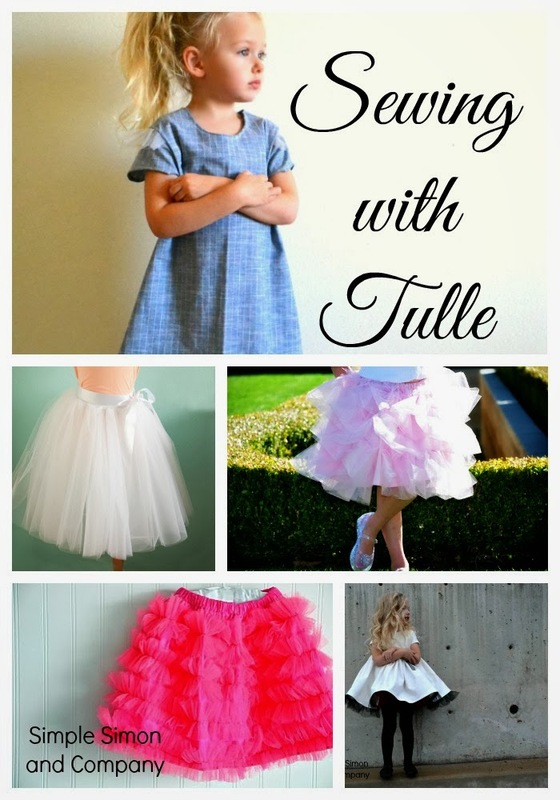 Attach the tulle to your satin. 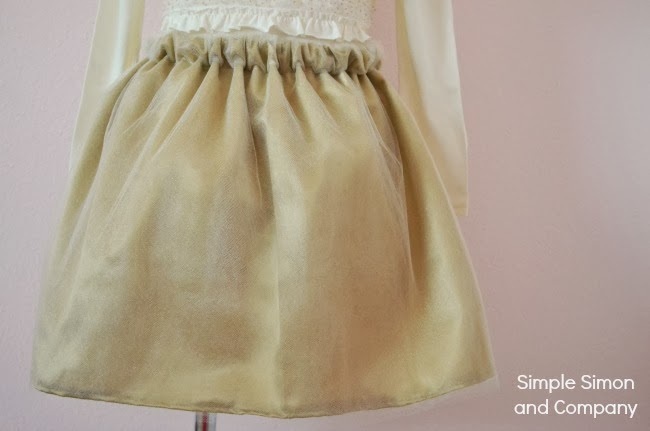 I did this by pinning the tulle on top of my satin and then running a long stitch across the top of the skirt like in the photo below. #4. 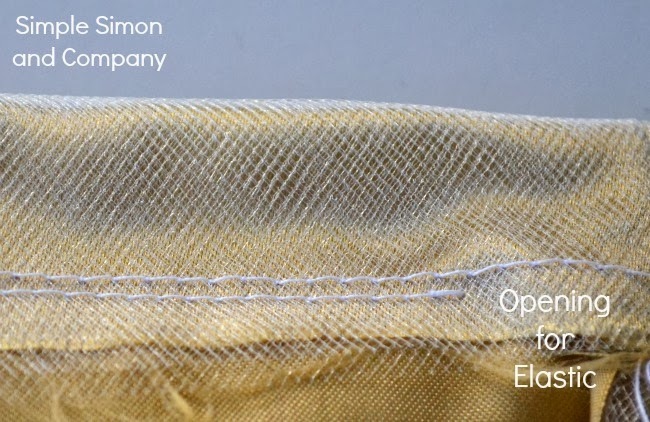 Sew up your side seam. #5. 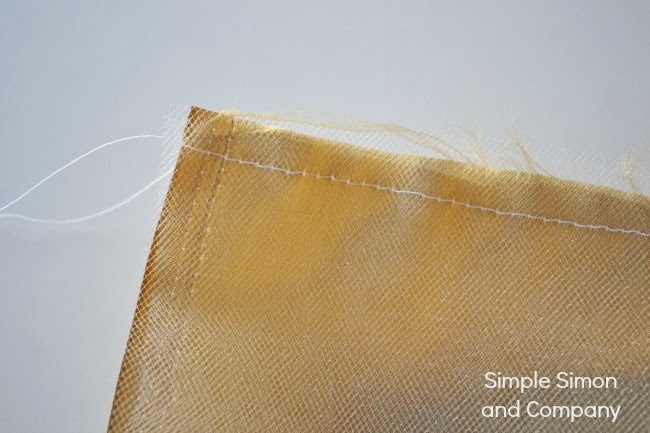 Make the casing for your elastic. 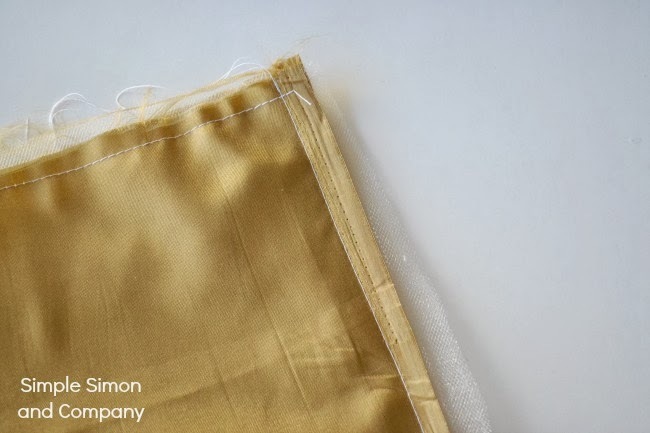 I did this by folding my layers of tulle and satin over about an inch to the wrong side and stitching it down. 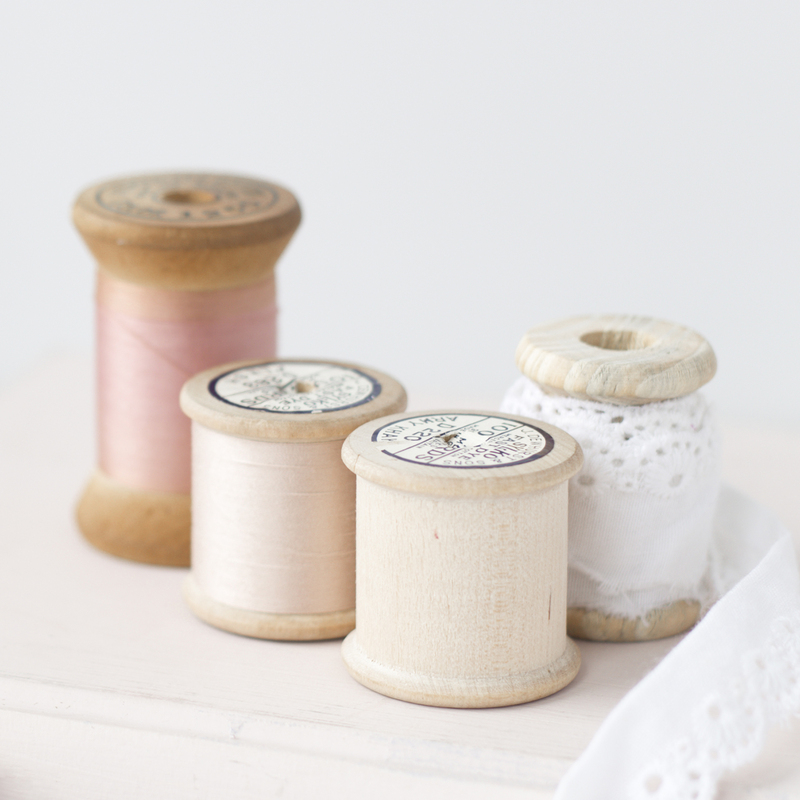 Remembering to leave a small opening to thread my elastic through. #6. Insert you elastic. 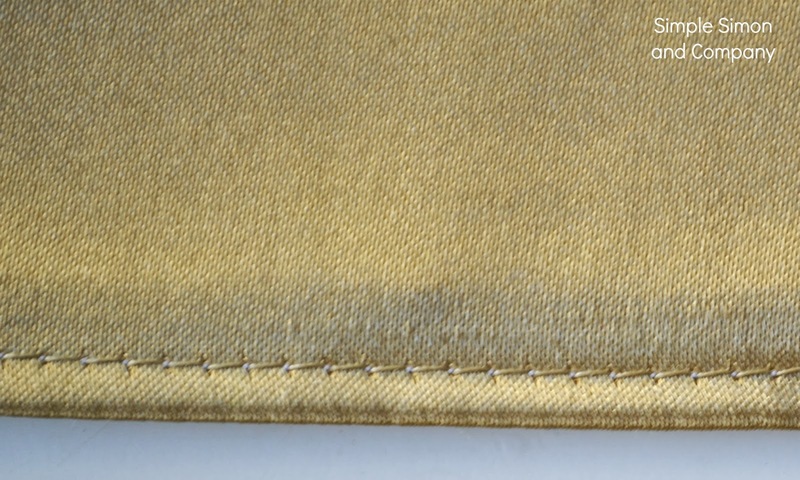 Stitch the opening in the casing closed and flip your skirt right side out. I wish I had pictures of the girls all in their matching skirts…but they won’t be opening them until Christmas…or the morning of the family Christmas party if I can’t wait until Christmas…. Thank you again Kelly for inviting us over here today. What a fun series to be able to be a part of!